I’m a cereal addict. I LOVE it and could probably eat it for three meals a day. That’s why it was a major #bummer when I realized that was probably the reason I couldn’t reach my fitness goals…even the so called “healthy stuff” (Raisin Bran, Special K, etc.) So I reluctantly gave it up (well almost). I mostly eat eggs, and Shakeology for breakfast, and occasionally oatmeal. 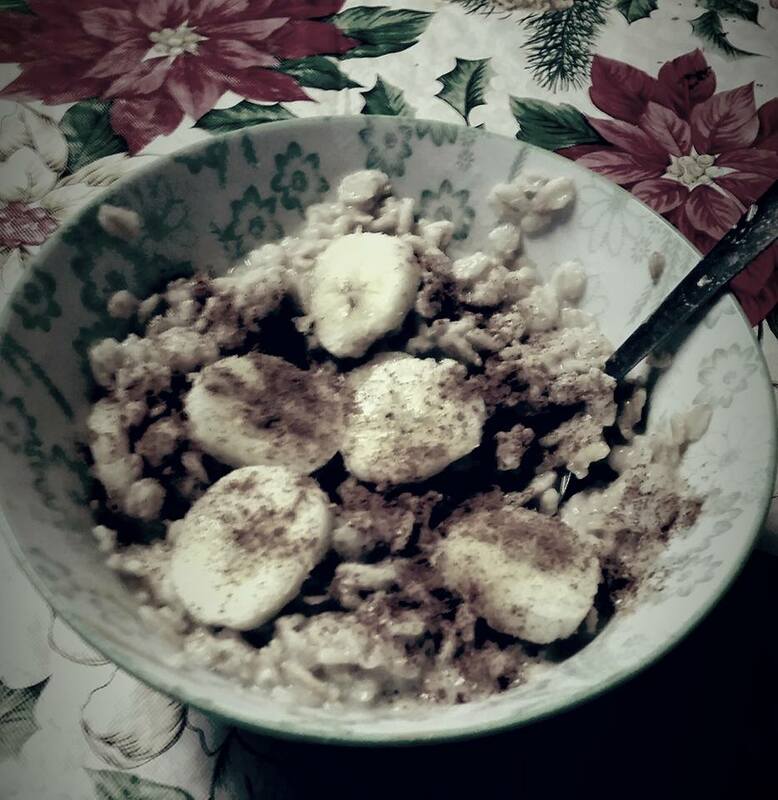 I never really enjoyed oatmeal though. It was really just a sorry substitute for the sugary cereal goodness that I really wanted first thing in the morning, and it never seemed to live up. This recipe…HOWEVER…it the closest I have come to fulfilling that cereal craving. It is so good and completely clean. So now when I really want a massive bowl of Cinnamon Toast Crunch (which ended up being like SIX SERVINGS of cereal…who knew a serving was 1/2 cup), I go for this instead. And don’t misunderstand me…I still eat the cereal occasionally…but when I do, I eat 1/2 cup (1 serving) instead of the 6 servings I use to eat. Cook oats according to directions. Make sure they are warm so everything melts together! Eat and enjoy. As you do, visualize Cinnamon Toast Crunch, Honey Bunches, or Special K, but then give yourself a pat on the back for making choice that satisfies;, but doesn’t add bulge to your waist and your thighs! PUMPKIN CHOCOLATE CHIP OAT BALLS|CRAVING CRUSHERS!